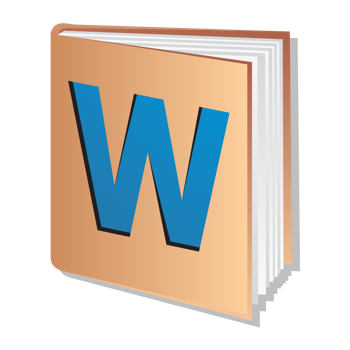 The WordWeb Pro English dictionary and thesaurus with 70 000 audio pronunciations. Includes definitions, usage examples, synonyms, and many related related words. There are hint links between words that sound the same or are often confused. Additional features include the ability to drill down on any word in a definition, full bookmark support and history. No Internet connection is required. If you have also installed the Oxford or Chambers dictionary apps they be automatically detected and shown in separate tabs for quick cross-referencing. Can be used with Services to easily look up words in other programs, or automatically look up words by copying them to the clipboard. Note to cross-reference other installed WordWeb Software apps, you must run each of them once first.